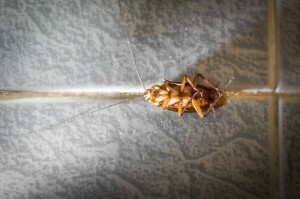 What’s your thoughts on killing household bugs? The good news is that, according to our recent survey of almost 1,500 New Zealanders across the country, an impressive 37% of us are not frightened of any bugs at all. For the remainder (okay, in honesty it’s still the majority) of us, we are very willing (at 37%) to use bug spray pre-emptively in our home to ward off the creepy crawlies. But then we feel guilty for killing them! This angst is most pronounced in the younger generations, with 37% of those aged under 30 years feeling guilty when they see insects dead or suffering as a result of being sprayed. This empathy reduces as we get older (after, perhaps, more bites, stings and frights) until by age 60 just 11% of us feel bad about killing bugs. Our survey, of 1,497 New Zealanders who have purchased and used insecticides in the last six months, shows that 84% of respondents believe they generally work well, although 68% admitted they hate the smell of insecticides in their home. So what insects do scare us? With spiders topping the scare list, check out Australian cricket legend Shane Warne’s reaction to a tarantula in this YouTube video! Natural insect repellent: What can you use?